There is confirmation tonight that alleged Guatemalan drug dealer Otoniel Turcios Marroquin was caught in San Ignacio this past Monday. We can also confirm that Turcios has been handed over to the DEA and flown out of the country without a court hearing for his expulsion. There was no official word from the police, nor will there be, we are told, even though the arrest has been widely reported in the Guatemalan press. Turcios has been on the run since 2006. He was on the DEA’s wanted list for allegedly importing more than one thousand two hundred pounds of cocaine into the US. The detention of the big fish is sensational because he had been living legally with his family in San Ignacio since August. From what we know he was flagged down by police on Monday afternoon while in his vehicle with his family, including his wife and eight month old child. The wife and child were released but Turcios was taken into custody and then handed over to Belmopan police. Today in the Supreme Court of Justice Adolph Lucas, Turcios lawyers made an application for writ of habeas corpus, asking the government to produce the suspect. The GOB attorneys could not and disclosed that he was expelled on Tuesday, October twenty-sixth. The court also heard that the Minister of Defence Carlos Perdomo signed the expulsion order on the same day. Turcios’ attorneys also produced two affidavits, including one from Turcios signed October twenty-seventh. According to the attorneys, the (quote) “official kidnapping” (unquote) was illegal because there was no due process for the Guatemalan national before he was released into the arms of the DEA. They also say they were given the run around and will now be seeking compensation on his behalf. The Judge asked the Commissioner of Police Crispin Jefferies to produce an affidavit on who escorted the suspect, when he was expelled, the mode of transportation, and the date and time of expulsion as well as where he was taken. But the question that also begs an answer is if Turcios was expelled on the twenty-sixth, why is there an affidavit from him dated the twenty-seventh? Maybe that will be forthcoming when the COMPOL produces the required information on Monday. For historical background, in 2003 George Herbert was similarly handed over to the DEA by local law enforcement officials. The Supreme Court declared this to be unconstitutional and ordered the return of Herbert. He was never returned. Herbert was represented by Dean Barrow, now Prime Minister. this corrupt gov is nothing but the us lap dogs perdomo should be put in jail for spying and traitorous behavior even murderers are getting off in belize and being offerd bail am not saying this guy is good and if he is a drug pusher he should get what ever he deserves but when our gov. is just getting on their knees to please the us gov this is sick traitoruos behavior when the us gov. is the ones sending all the gang members and drug pushers back to belize then they just come in and ignore our judicial system and make our gov look like lap dogs for their bidding perdomo you need to be arrested you also need to follow the laws of the land perdomo you are not above the law. look who in charge of the country perdomo how sick their are two judas in out gov barrow and perdomo anything for a few pieces of silver. I would say that the affidavits would have to be fake and that Turcios is in good hands the DEA will take very good care of him and Turcios attorney whoever you are don’t know why your name was not mentioned but I think that you’re wasting your time (actually you are wasting whoever money is paying for your representation) it’s a done deal the DEA will not return him he is going to pay for his deeds and I wish you luck trying to get compensation from GOB they are broke and I urge you to tread carefully trying to sue GOB remember that is now an illegal act and you can be jailed and fined for that suit. I personally think its messed up that our courts n police does not follow the law they’ve sworn to uphold. They don’t prosecute the criminals in Belize n the ones that they find that r wanted by the US, they bend over backwards to give up. I’m not disputing that either this drug pin or Herbert didn’t deserve to b locked up. However, if a US citizen was wanted by police in Belize n found in the US, do u think they’d just ship the person to Belize, no questions, no worry? HELL NO! I am tired of our governments, both UDP n PUP, acting like were the United States little B***h, come on man, fair is fair n wrong is wrong. How did the criminal sign an affidavit in Belize on October 27, when he was physically expelled on October 26? He must have used a 1,000 mile long pen! Someone should examine the handwriting to see if the lawyers submitted a forgery intended to defraud the court. If so, that person should be punished according to law. Belize justice should be JUST and according to the rules, not a game for the devious and corrupt. Same ting cetch Zabaneh down south. He went to Guatemala and was kidnapped by the Guats and DEA and sent to jail in the USA for many years. I wonder how many of them we have. Maybe the politicians get funding from them and in return they get legal papers and are kept in hideout. Makes you shake your head with much disgust of this matter, if Belize handed over Belizeans so easily to the United States by “Torture by proxy” then this kingpin means very little to Belize reputation and their kiss-@#$ duty to serve America. Handing over criminals to the United States has been done and will continue to do so by Belize without us ever knowing or reaping the fruits of the deal, sit and watch as the courts fill in the vagueness of legal kidnapping. Oh, what about his family? Is his wife and kids over 18 being charged as well? Just curious,really. Just about all your comments are the ramblings of a bunch of politically ignorant A__holes. ROD sound really upset I am thinking maybe u politically related in some way or the other but if things like this make u angry stop viewing the news and please don’t post a comment u are the ignorant educated fool in this mix…all people are entitled to their opinions no matter how harsh it may seem. So when are we supporting DRUG DEALERS???????? 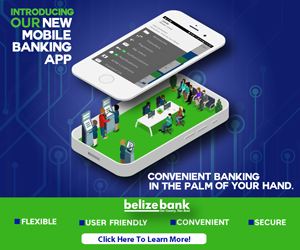 Belize does not have the resources, money or legal instruments to deal with these criminals……but criminals will always support other criminals. Ship them all out and save our country the TIME and the MONEY! Due process would be in order I got to agree with that, however some of us on here seems to think that when a crime is committed by a Belizean in Belize that we should handle the alleged criminals as they would do to our Belizeans in Guatemala or in Honduras like the last time the cops in Honduras shot those two Belizeans, there was no talk of due process in that case and Guatemala would have handled a Belizean much worse in their country as one of the commentators pointed out in a case with Zabaneh and many other situations that comes to mind. I am not saying that two wrongs makes a right and the only way we can prove that we are more intelligent and humane than them is to not practice their same behavior but if one fails to point out the parallels in these situations it would seems as though that you are endorsing the idea that Belizeans are less valuable than citizens of those countries and with the murder rate in Belize at what it is, it would seems to give credence to that belief. Mixed feelings concerning this article. Agree, due process is essential. Is there a lack of trust from the USA/DEA with due process as seen practiced in Belize recently? Is this the reason for the rush to place this alleged drug baron into the demanding hands of Uncle Sam? Is the basis of the USA/DEA’s mistrust in Belizean rule of law justified? Tough one – He is a “big fish”, or alleged to be. If he was left in the hands of Dickie et al, no doubt would be released…..and on that line of thought I have to applaud the G.O.B. for the rapid and direct actions……but it still leaves a bad aftertaste. I believe all of this is just is just political propaganda….. Belize want to impress the u.s. If GOB doesn’t do it, the U.S. Could cut his allowance ” so called gifts”. I belive that GOB should have handed over the guatemalan drug dealer to the guatemalan government and leave it to them to do the handing over of there own nationals….. These drug lords have their own personal armies of body guards and soldiers who could easily out gun the BDF and Belize Police. Recently the Guatemalan Army lost a battle with Mexican narcos just outside of Tikal. These guys are nothing to play with. By offering Turcios his “due process” you put the security of Belize at risk. If his personal security force wanted to come get him out of Belize they would have no problem coming across the border in their armor plated trucks, with their AK-47s and grenade launchers, and simply blasting their way into the prison or whatever facility was holding their boss. Or more likely they would first resort to kidnapping and murdering police and prison officials to try to “negotiate” his release. Remember that Mexican drug lord who was caught here a few years back? His capture and detention put the lives of several Belizeans at risk and for that reason GOB fast tracked his expulsion to the USA. In this case, Turcois is simply not worth the risk, nor is Belize equipped to handle the threat to our own national security that comes from keeping these drug lords on remand. I’m a big fan of the constitution, but in this case it is in the best interest of Belize to turn this guy over to the USA as quickly as possible. good ridiance to bad rubbish, I say.